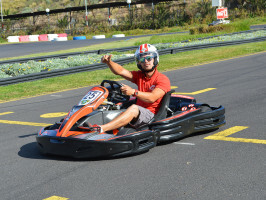 Give an exciting twist to your stay in the Canary Islands with this visit to the Karting Club Tenerife, the single largest karting club on this splendorous isle. Located on the magnificent Parque de la Reina, the Karting Club Tenerife has two thrilling tracksto offer: the Junior Track, which is a good 250 meters long, and the Professional Track, a staggering 1.200 meters for those daredevils who are in pursuit of a true adrenalin rush. Break away from the monotony of your typical sightseeing holidays and get your kicks for speed and a taste of freedom. 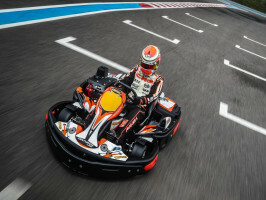 On both of the tracks, you are invited to choose from a large variety of different types of karts, each one of which will make the experience feel completely singular and new. This also allows you to personalise your experience; no two people on these tracks will live the same adventure. 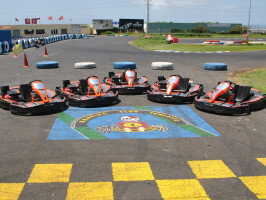 Both tracks and the choice of karts are all built with state of the art equipment. Plus, the Professional Track, as its name shows, is often used for professional competitions, so the asphalt is in top notch condition, guaranteeing a pleasurable and smooth ride. If you want to take a break from all the speed and emotion, you can enjoy sitting down in the lovely bar terrace and sip a relaxing drink to digest the wild experience. 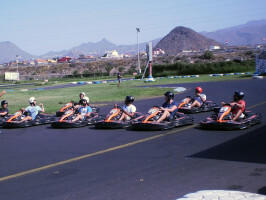 Come to the Karting Club Tenerife and live the ride of your life. RT8 model 400cc – Senior track (ages +17 years). 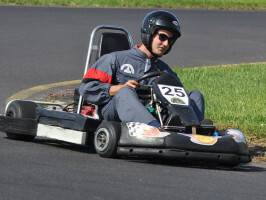 - SuperKart - 7 laps. Over 18 years. - Kart Competition - 7 laps. From 15 to 17 years. - Cadet Kart - 12 laps. From 10 to 14 years. - Pony Kart - 12 laps. From 6-9 years. 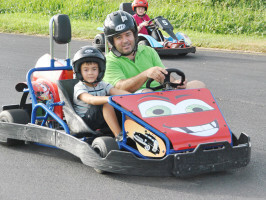 - Tandem Kart - 12 laps.Up to 5 years, accompanied by 1 adult.